Think you’ll need a break as the tail end of 2012 comes around? 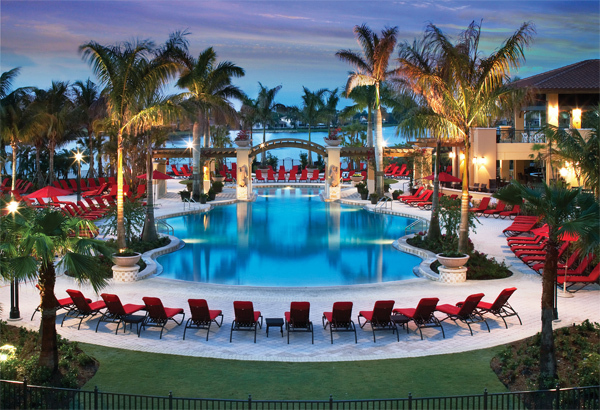 The PGA National Resort & Spa has just the incentives to get pin seekers to the Florida Coast. PGA National Resort & Spa – home of the PGA TOUR Honda Classic and fresh from a $100 million revitalization – announces a 72-hour “flash” sale with 25 percent off rates for stays Sept. 12 – Jan. 17, 2013. All available room categories can be booked by calling (855) 692.8771 from Wednesday, Sept. 12 (7 a.m.) to Friday, Sept. 14 (5 p.m.). Resort-wide enhancements are comprehensive and include 379 rooms, clubhouse, spa, health and racquet club, and conference and meeting space. Among the contemporary additions is a stunning zero-entry pool, sophisticated iBAR and signature restaurant – Ironwood Steak and Seafood – using the highest quality ingredients, steaks and fresh Florida fish. PGA National’s highly-anticipated “Fazio Course” opens on Nov. 1. Ideal for health, wellness and complete rejuvenation, guests can choose from more than 50 fitness classes at the 33,000-square-foot Health & Racquet Club, or savor one of the 100-plus treatments offered by The Spa. The outdoor pool is a tropical oasis easily-accessible from guest rooms and the main lobby. Seven on-site restaurants and lounges cater to every culinary taste and need. Conveniently located 15 minutes from Palm Beach International Airport (PBI), PGA National offers proximity to vibrant South Florida nightlife, world-class shopping, and magnificent Atlantic beaches. This offer is based on availability and not valid for groups. It cannot be combined with packages or other offers, and is valid for new room reservations only. One night nonrefundable deposit is required. Sale only good on dates and times listed. PGA National Resort & Spa, www.pgaresort.com.